Crisp on the outside and chewy in the center, these multigrain snickerdoodle cookies are made with oat flour and whole wheat pastry flour for a heartier flavor and healthier sugar cookie. 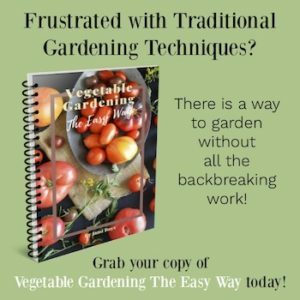 Want more great recipes? 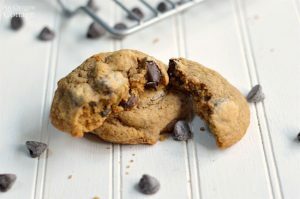 Check out our Simple Cookie Recipes page. 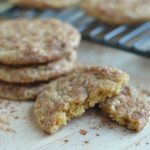 This recipe for multigrain snickerdoodle cookies is in honor of my daughter who loves any type of sugar cookie. Me? I’m more of a double chocolate-chocolate chip or classic chocolate chip cookie sort of girl. Though I’d never turn these down, especially with cold glass of milk! It’s just not usually my go-to, if you know what I mean. 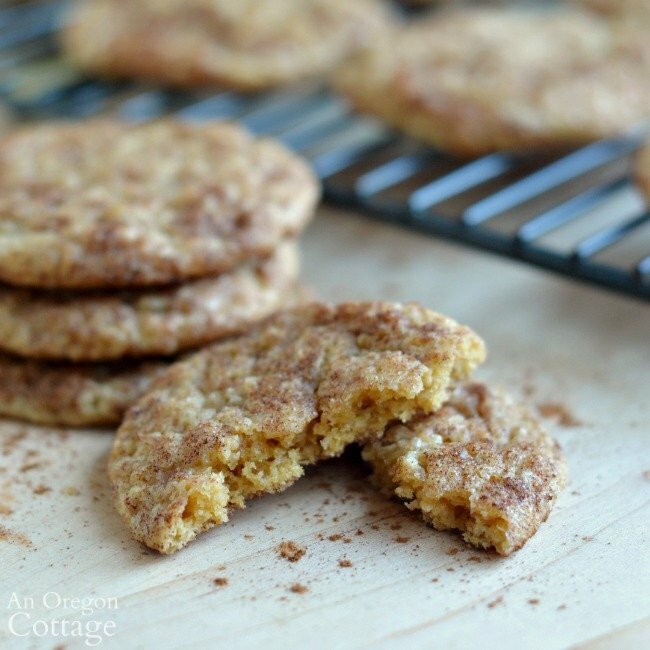 But since I like to add whole grains to basic recipes to make them healthier, I wanted something other than the standard snickerdoodles recipe. I found what I was looking for in the King Arthur Flour Whole Grain Baking cookbook, which I tweaked it quite a bit to get the cookie you see here. 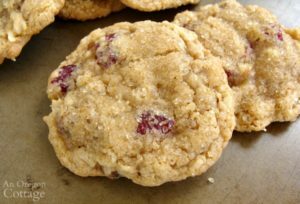 The recipe I came up with is made with two whole grains: oat and whole wheat. 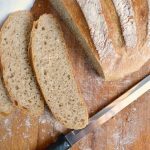 I’ve also made these with barley flour and spelt and they turned out great, meaning this recipe is open to interpretation, grain-wise! 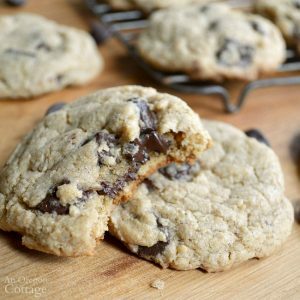 This produces a crisp-on-the-outside and chewy-in-the-middle cookie, in other words, the best kind! What about Cream of Tartar? 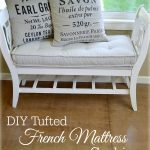 You know that pesky “cream of tartar” that many people don’t know have on hand (and don’t know what is, even)? You don’t need it! This recipe calls for the more standard baking powder. 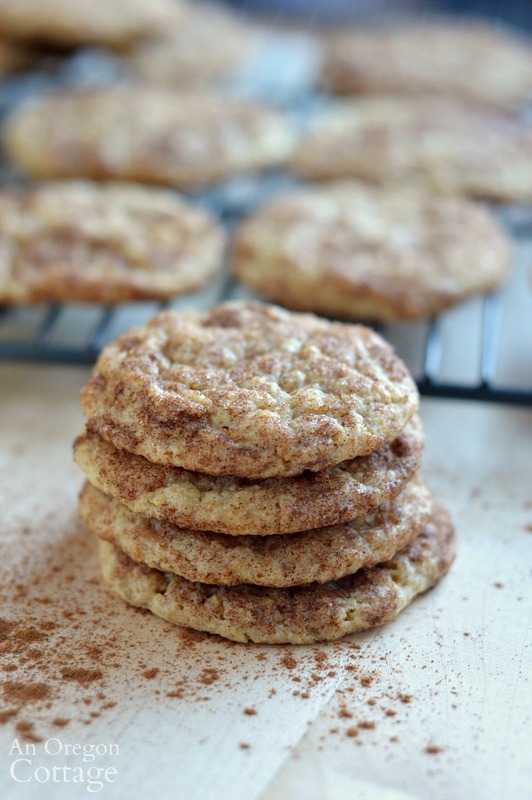 I’m not sure why most recipes call for cream of tartar – I used to think there was some flavor from it that snickerdoodle cookies needed, but after making these I realized that’s not true. 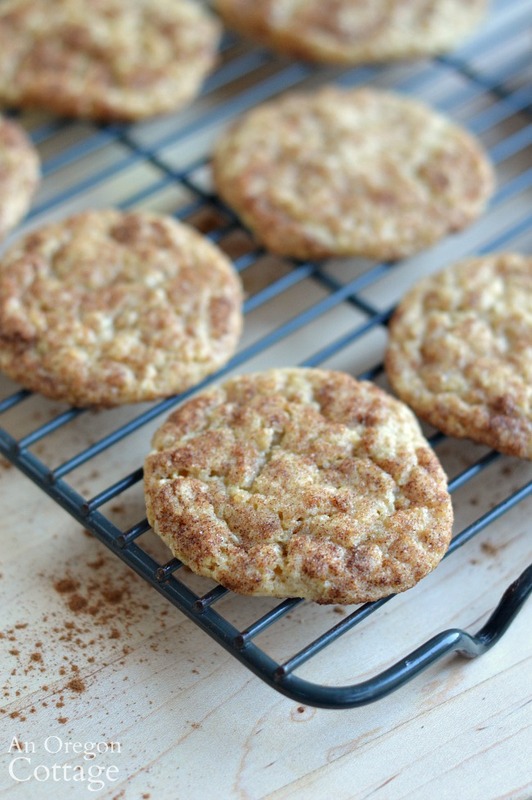 So you DON’T need cream of tartar to make multigrain snickerdoodle cookies – or any snickerdoodle cookies. Promise. Why don’t you give these a try and see what I mean? 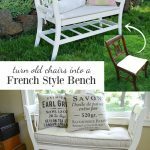 The first thing you’ll want to do is make your oat “flour” (if you already have oat flour, you can obviously skip this step). 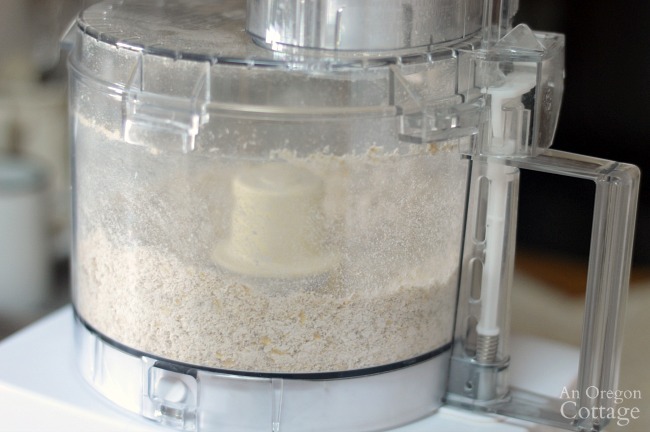 Add the oats to the bowl of a food processor or blender and whir until a coarse flour forms, about 45 seconds or so. Once your flour is ready, you can mix the butter and sugar in a mixer bowl until it’s light and fluffy. Beat in the vanilla and eggs before adding the ground oatmeal, whole wheat pastry flour, baking powder, and salt to the mixture. Beat and scrape sides until everything is nicely incorporated. Now it’s on to the thing that elevates the snickerdoodle above other sugar cookies in my opinion: rolling the dough in a cinnamon-sugar mix. Once you mix the sugar and cinnamon together in a small bowl, it’s easy to shape the dough into balls with a cookie scoop – no sticky hands! Then use a spoon to coat each ball all around in the cinnamon-sugar mixture before placing on a parchment or silicone lined cookie sheet. 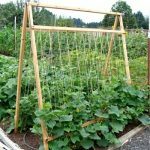 Cool on wire racks and inhale with milk. Or wait nicely and serve with coffee, tea, or milk to guests. 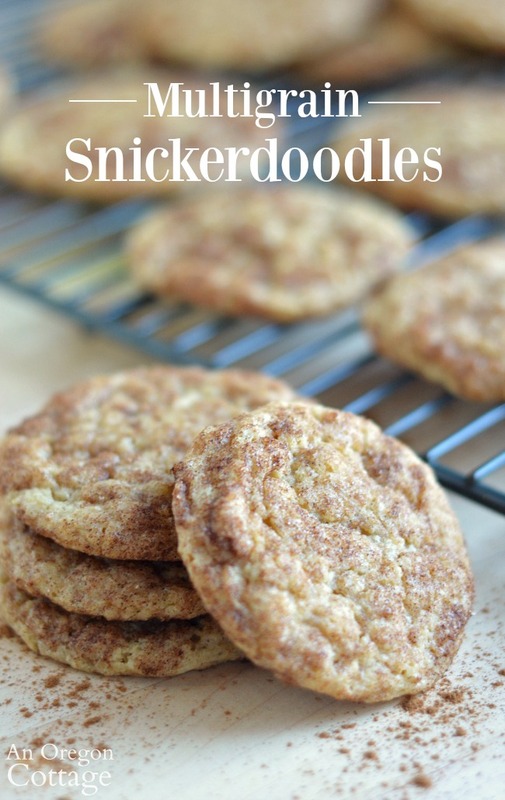 Snickerdoodles freeze well so you can make these and keep them in the freezer for anytime (it’s also my trick to keep them out of mind so I don’t eat cookies all the time!). 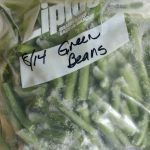 You can also freeze the dough on cookie sheets, transfer them to a freezer baggie and freeze the dough for warm cookies every time you want them (bake them from frozen, just adding a few more minutes to the baking time). Another way we’ve enjoyed these cookies: as ice cream cookie sandwiches! Since snickerdoodles are typically a flatter cookie than some, they work well sandwiched with ice cream in any flavor you like. 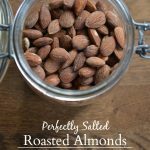 Any way you make or eat these, I know you’ll enjoy them and the little nutritional boost they have from the whole grains. Heat oven to 350 degrees. Prepare cookie sheets by greasing with oil, lining with parchment, or a silicone liner. 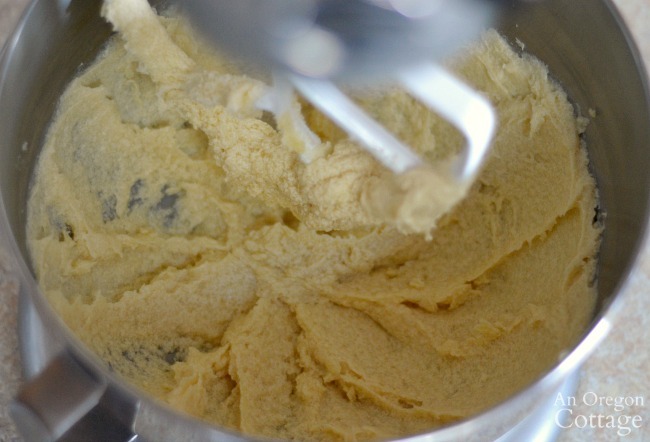 Cream the butter in the bowl of a mixer with 1 cup of the sugar until light and fluffy. Add the vanilla and eggs, mixing well. Add the two flours, baking powder, and salt, beating until thoroughly mixed and scraping the sides as needed. 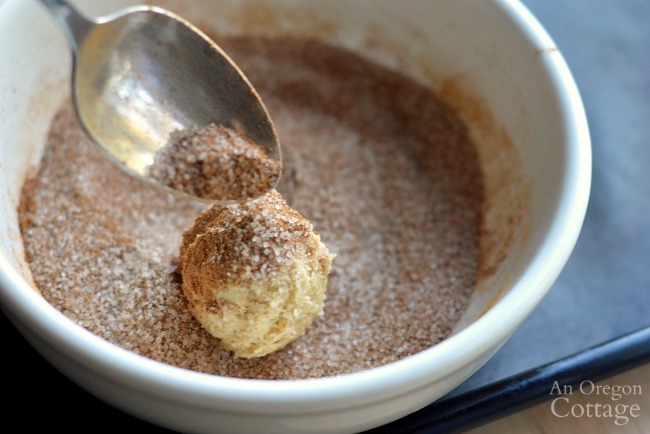 In a small bowl, combine the cinnamon and the remaining 1/4 cup sugar. Shape the dough into 1-1/2-inch balls (preferably with a cookie scoop), drop into the cinnamon-sugar mixture and use a spoon to coat each completely. As you finish coating, place the cookie balls on the prepared cookie sheets. 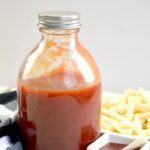 This recipe has been updated – it was originally published August 2010. 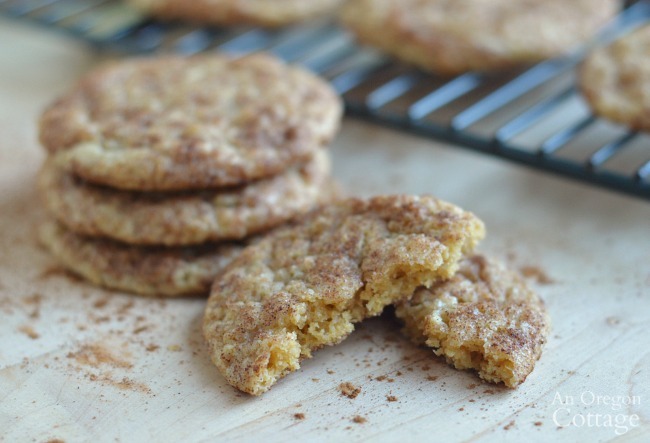 Snickerdoodles are diXymister’s favorite. I make them with whole wheat pastry flour eXclusively ~ never ocurred to me to try oats, spelt or barley. ThanX for tips! PS: I’m with you ~ chocolate all the way! Lisa- in our school it’s “Culinary Arts” and a lot of boys take it to be chefs! Multigrain, so we can feel like we’re eating something healthy, right? 🙂 Crisp on the outside and chewy in the middle is exactly how I like my cookies, too! Your cookies look sooooo delicious. 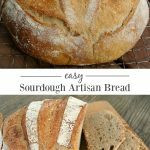 These look like the ones I make but sound much healthier than just unbleached flour. I will definitely make them. They do have Home Economics still. They just call it Family and Consumer Sciences now. My friend has taught it for 30 plus years now in central Texas. I haven’t had a Snickerdoodle in years! I remember it was the first recipe we learned how to bake in Home Economics. It tasted sooo yummy. I loved that class. Can’t believe they don’t offer it any more!